To every non-Muslim I ask: do you comprehend this shape of the conflict? Can you guard as your own the liberty of the Muslim who will likewise guard yours? 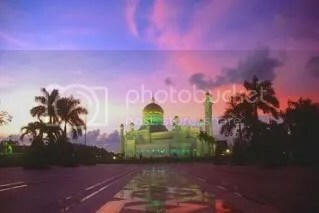 Do you understand the enmity toward non-believers born out of externalizing to the social order the idea of submission to Allah through Muhammad – that first pillar of Islam? Do you comprehend the history that shows the David-vs.-Goliath power of this system of ideas to rearrange the socio-political order to a procrustean form of tyranny? Do you believe that, for the good of all mankind, our social order rooted in liberty must prevail over Muhammad’s social order rooted in submission? What will you not do – as a matter of principle – in order to achieve this? In the Cold War with communist regimes, we were willing to deter their dominance by the will of mutually assured destruction in nuclear war; are you willing to go that far against an enemy who is clearly willing to sacrifice innumerable lives for the triumph of their ideas? The historical crux of John’s argument — that Islam is a historically intolerant religion — is a historical fallacy opposed by literally millennia of accrued evidence. Across the flip, I present some of that evidence, and discuss the consequences of perpetuating this dangerous historical myth. If what ever those books mention anything involving the Qumran, we do not need them, you can burn them; and if this those teachings are not in our Holy book, then you must burn them like you would burn an infidel! The above quote, whose authenticity has been debunked by no less an authority than Edward Gibbon, has been used for centuries to tar Muslims as a historically intolerant, ignorant people whose leader burned the famed Library at Alexandria. (In truth, the Library was long gone by the time Omar got there.) But those who view this false quote as proof of Omar’s intolerance might like to know how the great conqueror treated those whom he conquered. Omar was the greatest military genius among the Rashidun, or rightly-guided Caliphs. When he attained leadership of the Muslims, they controlled an area covering approximately the territory of Saudi Arabia; when he died, Islamic forces stretched from the Atlantic Ocean to the Persian Gulf, covering all of North Africa and the Middle East and expanding across the Strait of Gibraltar into southern Spain. (The Muslim forces were eventually checked in Spain by the armies of Charlemagne Charles Martel, at which point they ceased their attempts to further invade Europe.) To conquer these territories, the Muslims had to subjugate a number of defeated peoples. Most of these peoples were Christians or Jews. In the past, when an empire had extended its web across a vast landmass, the conquered peoples of different religions were terribly persecuted. Pagan Rome threw Christian martyrs to the lions before Constantine’s reign; Constantine converted to Christianity and persecuted the pagans; his successor Julian the Apostate converted back to paganism and persecuted the Christians again. For several centuries before the Muslim invasion, the Catholic Church had been attempting to violently stamp out several popular heresies, including Arianism, Monothelism, Monophysitism, Manichaeanism, and Gnosticism. That we will not teach our children the Qu’ran [some nationalist Arabs feared the infidels would ridicule the Qu’ran; others did not want infidels even to learn the language]; that we will not make a show of the Christian religion nor invite any one to embrace it; that we will not prevent any of our kinsmen from embracing Islam, if they so desire. That we will honor the Muslims and rise up in our assemblies when they wish to take their seats; that we will not imitate them in our dress, either in the cap, turban, sandals, or parting of the hair; that we will not make use of their expressions of speech, nor adopt their surnames [infidels must not use greetings and special phrases employed only by Muslims]; that we will not ride on saddles, or gird on swords, or take to ourselves arms or wear them, or engrave Arabic inscriptions on our rings; that we will not sell wine [forbidden to Muslims]; that we will shave the front of our heads; that we will keep to our own style of dress, wherever we may be; that we will wear girdles round our waists [infidels wore leather or cord girdles; Muslims, cloth and silk]. The Pact of Omar was a landmark document of religious toleration. It essentially created two classes of citizens within Omar’s empire: Muslims and “people of the Book,” or those who believed in the Bible in some form. People of the Book would be disadvantaged in several ways, notably subject to an additional tax and unable to serve in government or official roles; but beyond this, they were not to be harmed, persecuted, forcibly converted, or put to death. Many people falsely believe that “people of the Book” excluded large numbers of the Islamic Empire’s people. Nothing could be further from the truth. An overwhelming majority of the conquered peoples were either Catholic, Jewish, or members of one of the prominent Christian heresies, all of which were covered under the term “people of the Book.” For example, the Visigoths in Spain, partially conquered by Omar’s armies near the end of his reign, were followers of the Arian heresy. A Visigothic knight captured by the armies of the Catholic Church would convert or be put to death as a heretic; but in the Islamic Empire, he could go about his business in relative peace, subject only to a tax and banned from public office. A Gnostic in Egypt? Covered under “people of the Book.” A Monothelist, Monophysitist, or Manichean? Covered under “people of the Book.” A pagan? You were screwed — but you were probably pretty good at hiding it, since your religion had been illegal for the past three hundred years anyway. Caliph Omar does not deserve to be remembered as an ignorant destroyer of knowledge. Rather, he should be thought of as a leader magnanimous in victory, a man who promulgated the first widespread edict of religious tolerance in the Western world. Omar is a prime example of Muslim toleration — not the false intolerance suggested by those on the right. The Middle Ages are often considered the “Dark Ages,” mostly because of the lack of scientific, literary, or political advancement in European countries. The supremacy of the Muslims over the Southern Mediterranean during this time has often been cited as one of the causes of this fallow period in Europe, further burnishing the image of Islam as a foe of knowledge and learning. In fact, it was the Islamic world that kept the fire of knowledge burning throughout the darkest time in the past two millennia. Muslim learning was the torch that illuminated the Dark Ages. The scholasticism of medieval Catholic Europe, focussed entirely as it was upon ancient authority, was unable to inform scientific inquiry until the revolutionary libraries of Islam were made available to the Catholic world. All western advances in civil engineering, mathematics, chemistry, medicine and astronomy were founded upon the medieval sciences of Islam, which were themselves built upon the classical traditions lost to the west during the Germanic destruction of the Roman empire. Among the prominent Islamic thinkers during this period were the physicians Ibn-Sina (author of The Canon of Medicine) and Al-Rhazi; astronomers Al-Battani and Jabir Bin Aflah (who helped disprove the Ptolemaic system of astronomy); physicists including Al-Kharazmi, whose pioneering work in algebra influenced later work on the subject; and chemists including the visionary Ibn-Hayyan. One would think that, after witnessing such wanton destruction perpetrated on their people, the Muslims would seek out an opportunity for bloody revenge. Certainly this would have been the response of the Christian Crusaders, who massacred Jews and Muslims in Jerusalem on far less provocation than the Muslims had just received. 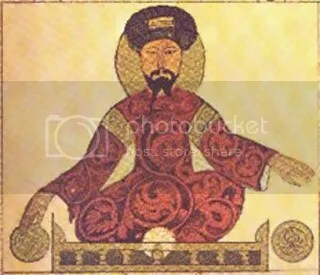 To understand what happened next, you have to comprehend the character of one of the most magnanimous, honorable and forgiving of all historical leaders — Saladin, Sultan of Egypt and Syria. Saladin was a feared warrior who reclaimed the Holy Land from its Christian rulers. But his prowess on the battlefield was matched by his integrity and honor toward his enemies. As his illness became very grave, the King despaired of recovering his health. Because of this he was much afraid, both for the others as well as for himself. Among the many things which did not pass unnoted by his wise attention, he chose, as the least inconvenient course, to seek to make a truce rather than to desert the depopulated land altogether and to leave the business unfinished as all the others bad done who left the groups in the ships. The King was puzzled and unaware of anything better that he could do. He demanded of Saif ad­Din, Saladin’s brother, that he act as go­between and seek the best conditions be could get for a truce between them. Saif ad­Din was an uncommonly liberal man who bad been brought, in the course of many disputes, to revere the King for his singular probity. Saif ad­Din carefully secured peace terms on these conditions: that Ascalon, which was an object of fear for Saladin’s empire so long as it was standing, be destroyed and that it be rebuilt by no one during three years beginning at the following Easter. [March 28, 1193] After three years, however, whoever had the greater, more flourishing power, might have Ascalon by occupying it. Saladin allowed Joppa to be restored to the Christians. They were to occupy the city and its vicinity, including the seacoast and the mountains, freely and quietly. 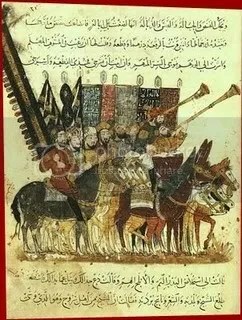 Saladin agreed to confirm an inviolate peace between Christians and Saracens, guaranteeing for both free passage and access to the Holy Sepulcher of the Lord without the exaction of any tribute and with the freedom of bringing objects for sale through any land whatever and of exercising a free commerce. When these conditions of peace had been reduced to writing and read to him, King Richard agreed to observe them, for he could not hope for anything much better, especially since he was sick, relying upon scanty support, and was not more than two miles from the enemy’s station. Whoever contends that Richard should have felt otherwise about this peace agreement should know that he thereby marks himself as a perverse liar. Things were thus arranged in a moment of necessity. The King, whose goodness always imitated higher things and who, as the difficulties were greater, now emulated God himself, sent legates to Saladin. The legates informed Saladin in the hearing of many of his satraps, that Richard had in fact sought this truce for a three year period so that he could go back to visit his country and so that, when he had augmented his money and his men, he could return and wrest the whole territory of Jerusalem from Saladin’s grasp if, indeed, Saladin were even to consider putting up resistance. To this Saladin replied through the appointed messengers that, with his holy law and God almighty as his witnesses, he thought King Richard so pleasant, upright, magnanimous, and excellent that, if the land were to be lost in his time, he would rather have it taken into Richard’s mighty power than to have it go into the hands of any other prince whom be had ever seen. The conduct of this gracious and honorable leader puts the lie to any argument that Muslims are historically intolerant or cruel. Indeed, in an analysis of medieval history, it is European Christians who emerge time and time again as the cruel and intolerant ones. Saladin, like the Muslim scholars, is part of an ancient culture steeped in enlightened thought and honorable action. Like Johne, many of our friends on the American right who are upset with the recent actions of some Muslims would like to believe that Islamic peoples have been historically intolerant, crude, or ignorant. Unfortunately for them, history does not bear out their arguments. Indeed, a close assessment of just a few instances of Islamic history shows that tolerance, learning, and forgiveness are the historical hallmarks of Islamic civilization. Such are the facts of history; and to pretend otherwise, given the precarious situation in which the world finds itself today, is the historical equivalent of yelling “Fire!” in a crowded theater. The misrepresentation of history does not often such With the world at war, it is important to understand that the religion many Americans view as an enemy possesses the historical virtues of peace. This entry was posted on Saturday, October 6th, 2007 at 7:19 pm and is filed under Uncategorized. You can follow any responses to this entry through the RSS 2.0 feed. Responses are currently closed, but you can trackback from your own site.